13 Indigenous Grandmothers Doing the Blue Moon Chumash Rag. 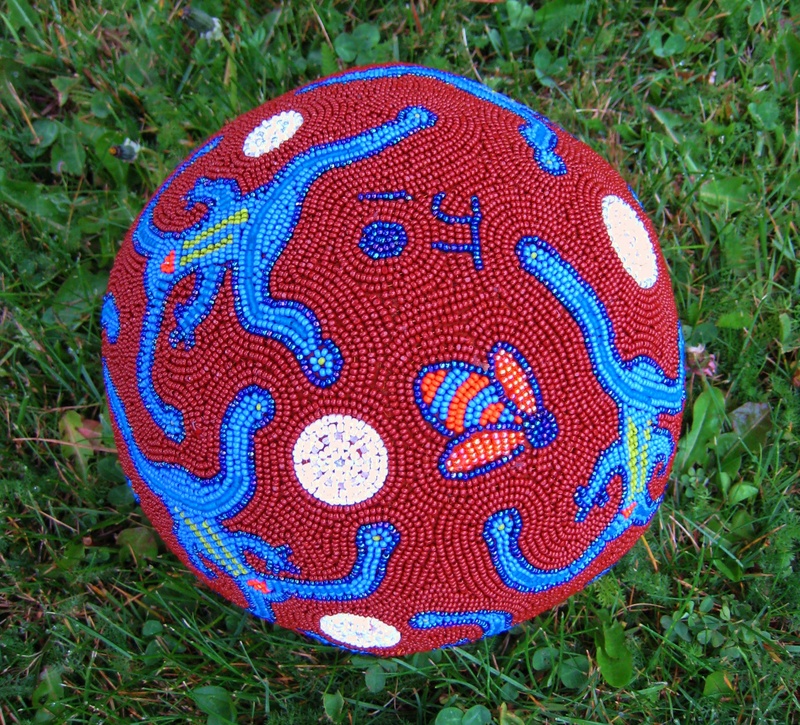 The theme and ideas for this sphere came to me while listening to a series of talks by the women who form a group called The 13 Indigenous Grandmothers. They come together at different locations around the planet where healing and balance are needed. They follow the natural lunar cycle of thirteen 28 day passages. When there are two full moons in any month it is called a Blue Moon. 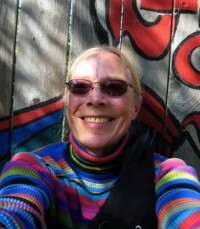 The Chumash Frog Rock Art image has inspired me over the years and shown up in several art pieces. I always feel that they are dancing under the moon, so it fit perfectly into this theme. 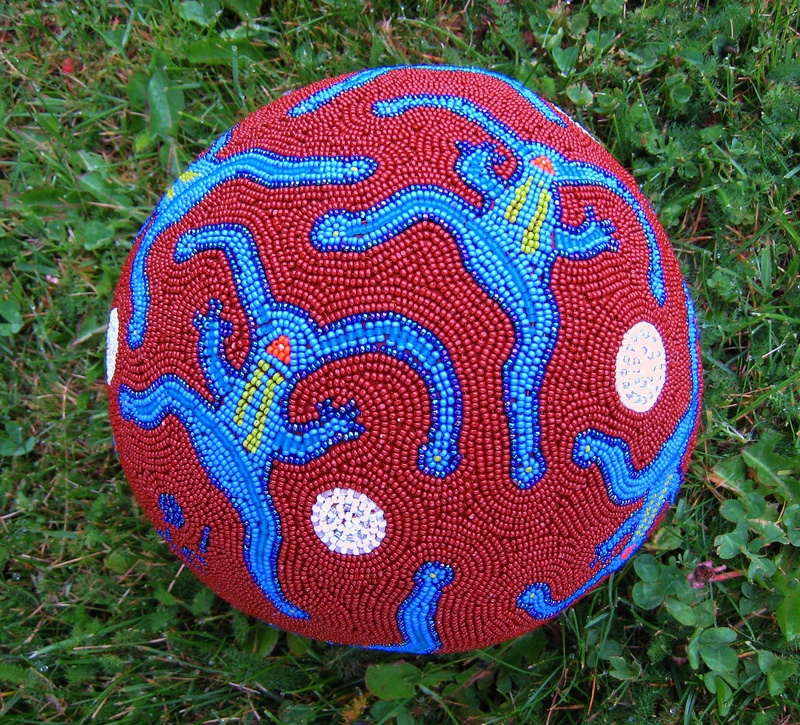 This sphere is 7.5” dia., made from a wool felt form and glass seed beads are hand sewn onto the surface. About 90 hrs. went into this ball.Cost of this sphere is $1300.00.